I’m a mechanical engineer. I love mechanical things. My parents gave me lots of Legos to play with as a child and I suppose I never entirely grew out of them. If I had to say what the favorite part of my job is, I’d probably say it’s when parts come in the mail. I mean, it’s like Christmas. Stuff shows up on your desk in a nice box and you get to rip it open and play with what’s inside. How awesome is that? After parts arrive though, there are still the tools to play with. Here are some of the coolest tools out there that I think every mechanical engineer should have. The first time I played with a pair of calipers, I was maybe 9 years old and following my dad around to a space satellite fabrication facility. An engineer picked a pair of calipers up and showed me that it was possible to measure the thickness of my hair. Three thousandths of an inch thick. I thought that was pretty cool.All that I had known before was measuring with a ruler, with precision down to maybe a 1/16th, or maybe a 1/32nd of an inch. A good pair of callipers can measure within .0005”. It’s a useful tool for measuring thicknesses, inside diameters, outside diameters, and depth. 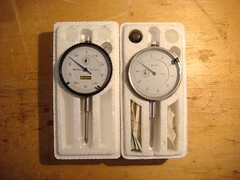 The dial indicator and force gauge, although useful on their own, are even more powerful in a pair. The force gauge’s function is pretty self explanatory (used for measuring applied force), but the dial indicator’s purpose isn’t quite as clear. Just as the calipers are useful for measuring distance very precisely, the dial indicator is very useful for measuring change in position. A decent one will measure displacements as small as .001” and a really good one will measure displacements down to .0001”. The ability to detect small displacements is important for aligning shafts, for instance, or verifying the repeatability of motion of a mechanism. When the two tools are used together, they can be used to measure force and displacement, which leads directly to a measure of stiffness. Since stiffness is a property that arises from a part’s material selection as well as its geometry, a measure of stiffness gives fantastic insight into part behavior. It’s also a great non-destructive test to verify a component against a model, as well. The Chapman set is my favorite brand of multi-tool screwdriver. You can get different sets, but mine has a nice selection of flat heads, Phillips heads, and Allen wrenches. It’s much more than a screwdriver with swappable tips though, because it comes with a little ratchet attachment that fits the tips, making it possible to work in tight spaces that no screwdriver could ever reach. Mirror on a Stick. Just like the one your dentist uses, or even better, one with an adjustable angle. Honestly, it’s so simple and it’s also fun to say. Mirror on a Stick. Mirror on a Stick. Mirror on a Stick. I can’t recall how many times I’ve had to peak into an assembled, or partially assembled part and check for things like screws that fell loose during vibration testing, part damage, or other such nonsense. Mirror on a Stick. Get one. Finally, I would never be caught without my pocket knife. My Leatherman has a knife and a pair of pliers and that alone is worth the price of the tool. 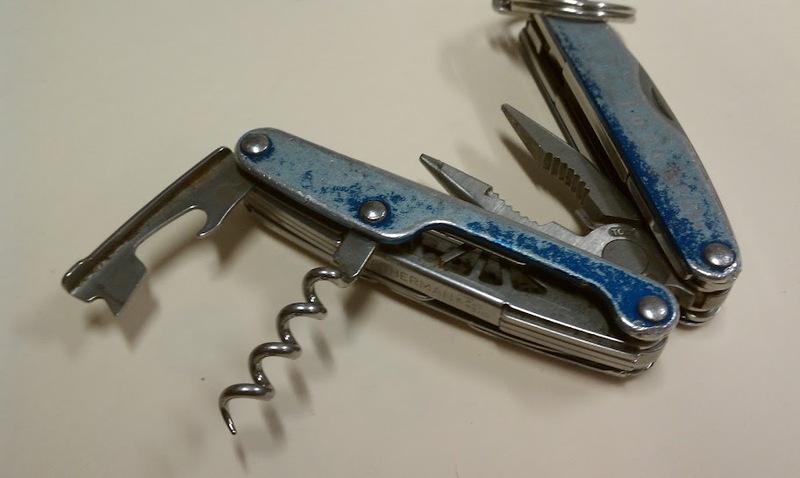 Oh, and my Leatherman has a bottle opener and corkscrew, if you happen to find that all that engineering work gives you a thirst. What kinds of tools do you find help you in your mechanical work? Thanks to BinaryTaskForce for the dial indicator picture. The machinist at my university always repeated – “buy a set of calipers and bring it to your [mechanical eng] job on the first day.” Best advice that I’ve never followed and I’m always late to buying them. As a new grad/hobbyist I’d suggest Mitutoyo’s beautiful plastic calipers for 3o or 40 USD (better than 200-300 for their professional ones). To add to the list, I find it difficult to work without a calculator. I use an HP-50g but it’s vastly overpowered for most of my work. In my line of work, a thermocouple and indicator is always a good bet to have lying around. Sometimes reactions can go a bit haywire. Along the same lines; pH paper is also useful. Measuring tape is always useful; I often have to move equipment around; big (3m) and small (30cm). Piping and wiring these up especially for insulated lines is always neater and better if excessive amounts are not used. Second (in response to D), the plastic calipers are ok, but they damage much easier eventually become less accurate. If i were you, I’d go out and spend a few hundred bucks on a better tool. After all, engineers don’t have to make much of a tool investment. You might as well spend a little extra and get the better tools. I am a Chemical Engineer, but I do have those things. I also have two metal lathes. My favorite tools are the Dremel hand grinder (and all) and the oscillating saw (several brands available.) The Bosch laser Distance Measurer (good for over 100 feet) is also a winner. Accurate to one sixteenth of an inch. I used to have chemical engineering tools, but I nearly killed myself too many times and gave it up. I have nearly killed myself a few times with electrical tools also. Maybe, that’s why I have so many mechanical tools (toys). it’s very important that you use these Measure instruments correctly, as you don’t want to have to spend double if they are incorrect and you have to build all your components again! Magnifying glass. I keep a little folding pocket magnifier in my desk and you won’t believe how useful it is – reading the fine print, looking for cracks, whatever. As fo rthe dial caliper, go to Enco or somewhere. I got a nice (not great, but nice) stainless dial caliper and I think it was $25. I invested in a thread counter, a high power magnifying loupe for my work with the application of silicone gaskets on very small details with robots. Then a magnifier hood gave me stereo vision, vastly improving that task. A magnetic flashlight was always appreciated in times of need. But my fave is my cordless drill. Don’t waste money on a cheapie with a poor battery, it WILL give out at the wrong time (Murphy’s Law). I actually use the Snap-On set for a while and it’s really worth the money. Hey i am also a mechanical engineer. 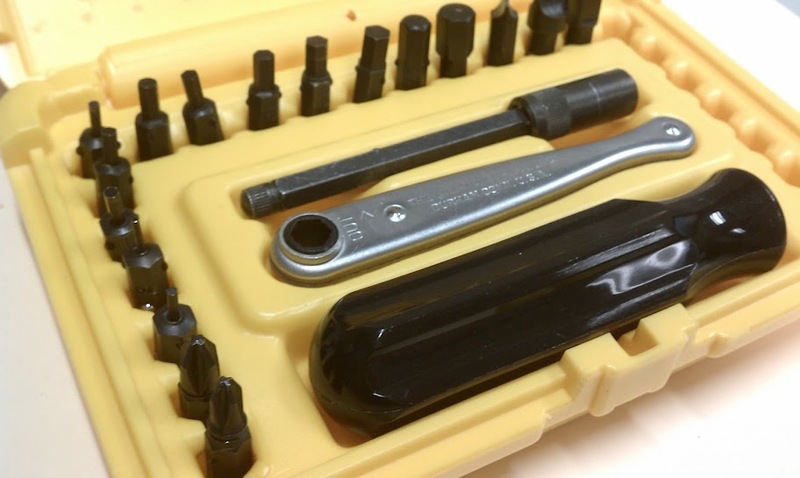 You said it right These are must have tools for all mechanical engineers. Especially leatherman is a must have tool at all times for mechanical engineers. It helps a lot.